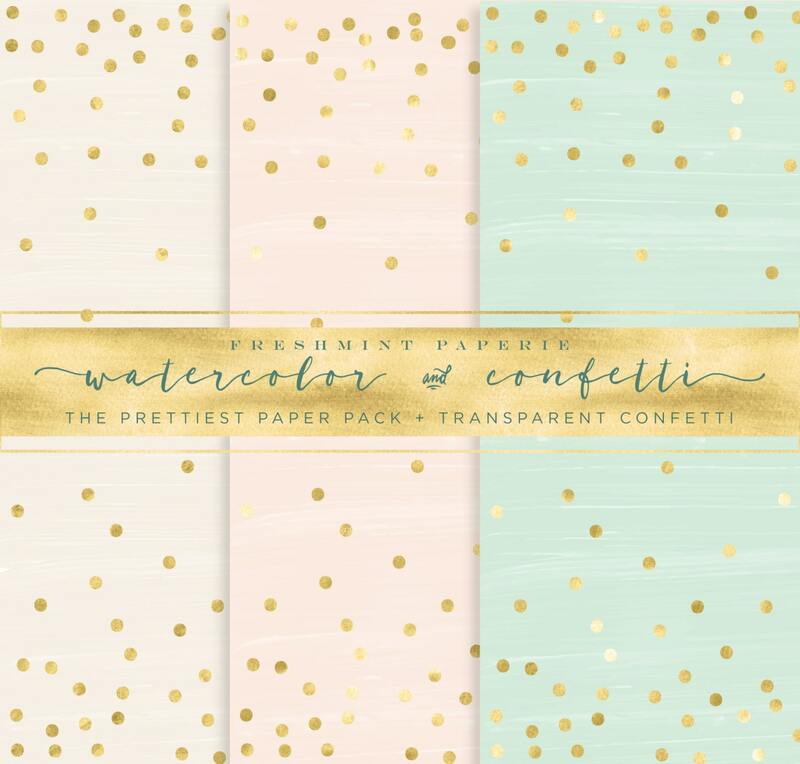 The Prettiest watercolor gold confetti digital paper pack you have ever seen. Trust us !!! 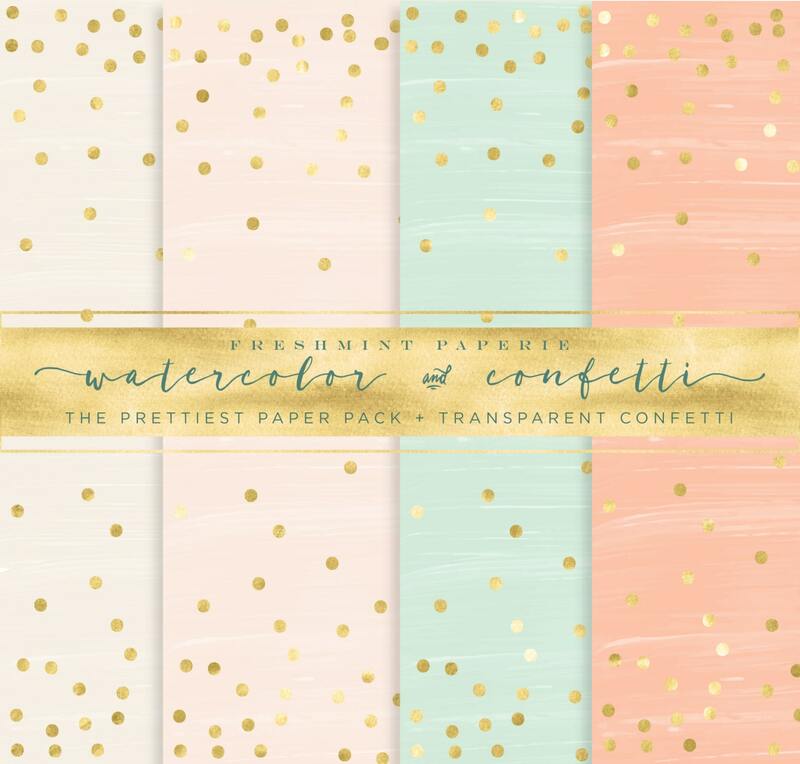 10 watercolor colors + 1 transparent confetti. 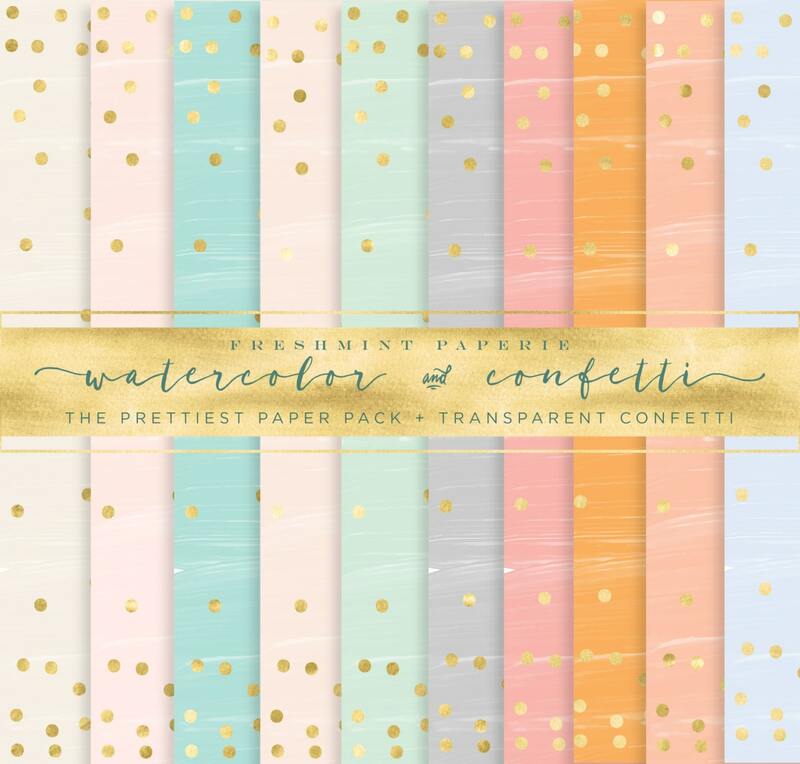 -all colors pictured above (2nd image shows all ) + transparent confetti. These really are great for so many things!